When will be The BRITs After Party next episode air date? Is The BRITs After Party renewed or cancelled? Where to countdown The BRITs After Party air dates? Is The BRITs After Party worth watching? 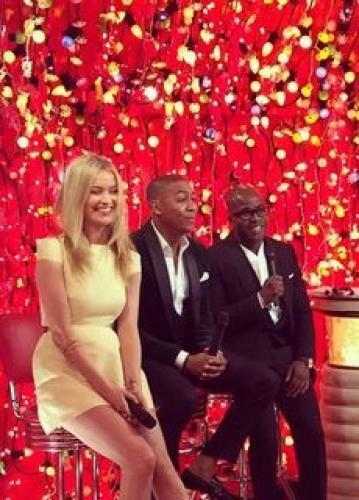 Laura Whitmore and Rickie & Melvin present all the gossip from the after party of this years ceremony. The show also features exclusive performances and interviews with the stars of the show. Clara Amfo, Laura Jackson and Alice Levine present all the post-ceremony action from the BRIT Awards 2017, with on-the-spot reactions from the winners, losers and VIP guests. Companion show to the Brit Awards. All the action from backstage. The BRITs After Party next episode air date provides TVMaze for you. EpisoDate.com is your TV show guide to Countdown The BRITs After Party Episode Air Dates and to stay in touch with The BRITs After Party next episode Air Date and your others favorite TV Shows. Add the shows you like to a "Watchlist" and let the site take it from there.